United Wound Healing (UWH) provides team-centered wound care, a unique teamwork model that allows the organization to work side-by-side with skilled nursing, assisted living, and family home caregivers on weekly wound care rounds. Together, UWH teams work to enhance patient care while decreasing costs, reducing staff paperwork, improving quality outcomes, and increasing compliance with federal regulations. As a relatively new organization, United Wound Healing wanted to get started on the right foot when building their customer base and managing their accounts. They knew they needed a CRM platform that could handle the various aspects of their business operations and provide a central database for account management. UWH was able to leverage several of PowerObjects’ PowerPack add-ons for Dynamics 365 to enhance functionality. Are you looking to send bulk emails from Microsoft Dynamics 365 and track bulk email statistics back to your CRM contacts, leads and accounts? Then give PowerMailChimp a try! PowerMailChimp is a MailChimp CRM integration tool that connects the powerful, robust, and affordable third-party bulk email platform, MailChimp, with Dynamics 365. Use static or dynamic CRM marketing lists to send out bulk emails such as newsletters, special offers, and more, all from within Dynamics 365. UWH has utilized many of PowerObjects’ PowerPack add-ons to automate their marketing efforts, which has allowed them to focus on their patients, staff, and partners. 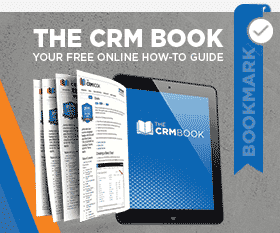 One of those add-ons is PowerMailChimp, which integrates with the bulk email platform MailChimp, allowing users to send bulk email to contacts directly from CRM. UHW also uses PowerSurveyPlus, which allows users to build surveys, send them out to their nursing partners, and receive answers back directly in CRM. PowerMap is an add-on that UWH is planning on leveraging for clustering and bundling services. Because PowerMap allows users to map out prospects within a certain radius, it has the potential for helping UWH to understand where leads are located and penetrate new markets. The UWH team relies on PowerCalendar to monitor staff requirements and provide important details around scheduling. PowerCalendar gives the staff the ability to view all team member’s activities in one calendar directly inside CRM. “We didn’t want to live in Outlook doing that because that gets very busy even with personal agendas. PowerCalendar will be our professional calendar for services and will allow us to click on a button and view an account record. It’s great.” shared Sherrett. PowerWebForm is a critical component of UWH’s event registration process. UWH hosts wound care seminars to the public each year. PowerWebForm enables them to easily collect seminar enrollments as well as organize and manage leads in their CRM.